So, I now have a few window sills full of sprouting seedlings and more beginning near the woodstove…my tomatoes are ready to move into their ‘big’ pots as are the basil sprouts. They each have grown their second set of leaves, the ‘true’ leaves – the signal that it is safe to transplant them into the next size pot and into potting soil. Instead of buying marigolds, I thought I’d simply start them – less cost. 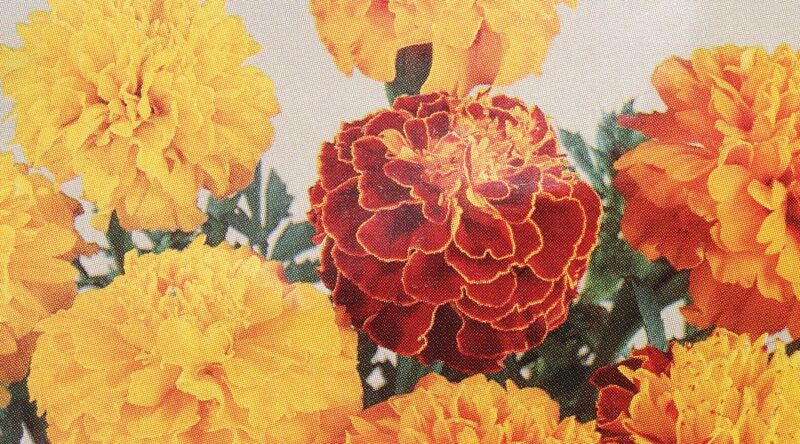 I’ve never started marigolds, but I’m always up for trying out new plants, fingers crossed. Marigold seeds are an interesting looking seed, very similar to a porcupine quill – long, thin, pointy on both ends with dual colors – much more interesting than the plant itself – apologies to all marigold lovers…hopefully they ward off those nasty tomato worms. Last year was the first year I planted zinnias – and I was so pleased that I did! I had what seemed like an endless supply of cut flowers to place around my house – they just keep flowering. The colors are brilliant, the blooms are varied in texture and size and they last a long time in arrangements…mix them with a variety of greens and you’ll have fresh flowers in your home all summer long – and they are easy to grow. No need to start indoors, simply plant outdoors when the weather warms, water and wait…I wanted to see blooms super early, so I’ve started a few seedlings indoors…oh, and they last well into the fall – which means cut flowers for months! Definitely worth the investment. The teddy bear sunflowers are so cute. I couldn’t resist. I always grow sunflowers and I always start them indoors (again, I like to see blooms earlier – we do have a very short growing season in Maine). I save seeds each year, so the following year they grow taller and stronger than the last. My sunflowers last season were incredible – some were over 12 feet tall – they were perfect for the south side of my garden…though, I’ve never grown teddy bears, so I thought I’d give them a try this year. They are a much shorter variety, but super cute. 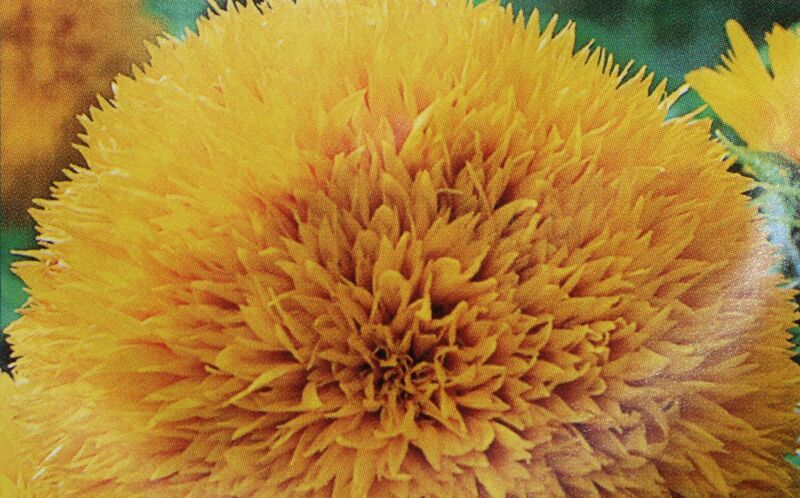 They are ‘fuzzy’ looking without the classic seed center – and also a good cut flower. I love cut flowers. Mae West said, “I’d rather have roses on my table than diamonds on my fingers”. Nothing says beauty more than freshly cut flowers from your garden – or anyone’s garden…place them around your house for an instant ‘lift’ (for very little cost). The poppies I’m going to start are perennials. While annuals are fun, perennials are better. You plant them once and year after year they continue to grow and thrive…I look forward to owing my own property and tending my perennial gardens. Until then, I will continue to plant and enjoy my gardens here and hope that they will continue on, be enjoyed and appreciated well after I’ve left…What’s not to appreciate about a beautiful flower? This entry was posted in gardening and tagged basil, gardening, indoor planting, marigolds, starting flowers, teddy bear sunflowers, true leaves, zinnias by ripe red berries. Bookmark the permalink. I just planted some zinnia and dahlia seeds….I gave them out for gifts at our New Beginnings party, and had some leftover, and they’ve sprouted in just a few days. 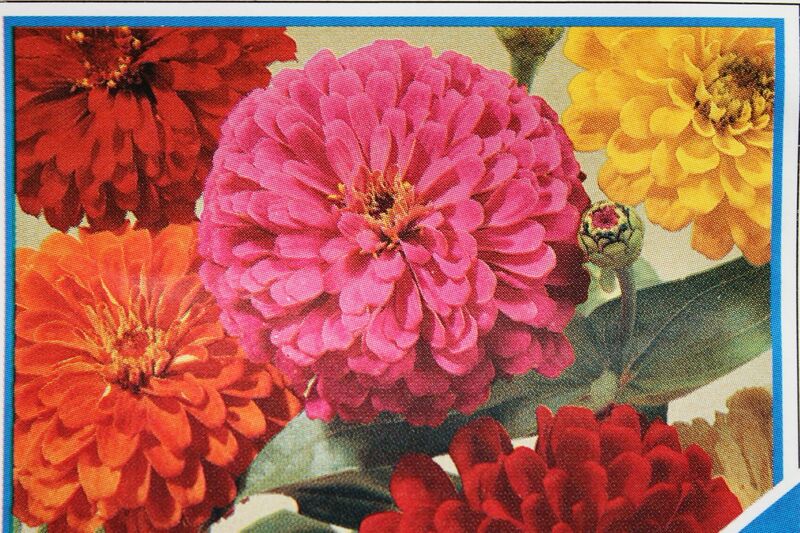 I love zinnias, they are such a happy flower. One time I used them to make a flower essence, and the essence is all about HAVING FUN and lightening up! Love the photos! I would like to kow how you started your seeds , what method you use. I just started some zinnia, marigolds, and sunflowers and its my fisrt time (ever) pstarting seeds indoors. I did two ways -the baggie/paper towel method and the dirt mini greenhouse in a plastic bottle method. Its only been two days so no action yet. 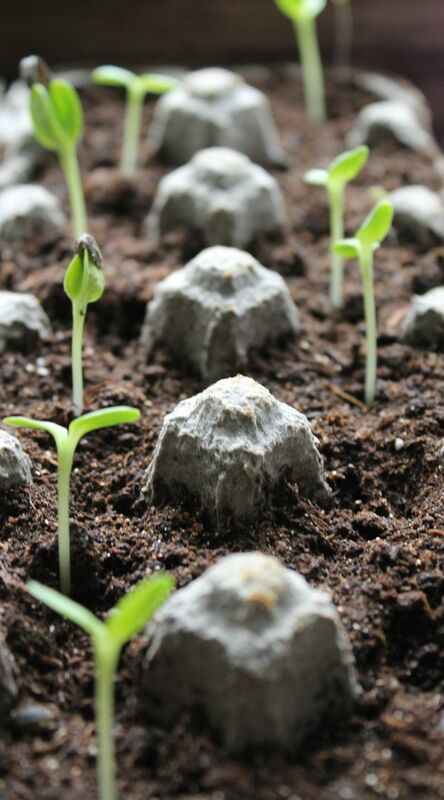 How many days did your zinnias and marigolds take to sprout roots? enough too. Zinnias keep flowering all summer so cut away and use for arrangements – sunflowers can have multiple heads, depending on variety. My zinnias came up in a few days, the sunflowers took about one week and the marigolds took about ten days or so and I needed to plant more marigolds as the first lot of planting only yielded 4 of the 12 I planted. The second set came up within a week. 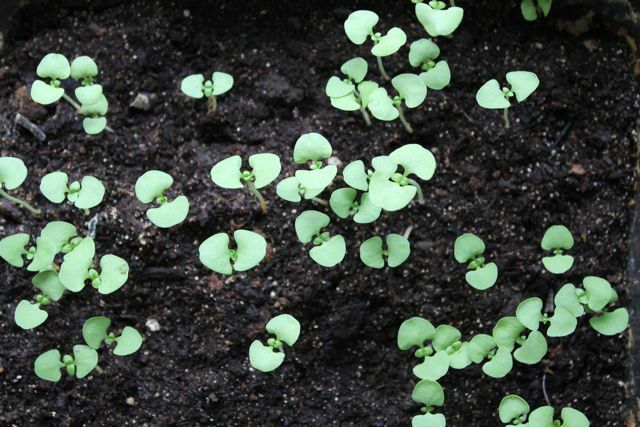 Transplant once each has a second set of leaves – about 10+ days after the initial leaves – depending on environment. Enjoy and keep me posted on the progress! Fortunately, I have several healthy serrano chili and jalapeno peppers started and they are very healthy looking. Im confused as to where in the house to put the pepper seedlings. They still only have 2 leaves, but we dont have any windows that have ledges or areas where I can put them, so they are in an open staircase that leads to the roof (live in MX with our inlaws at the moment) . It doesnt get full direct sun all day, maybe 2 hours of direct sun and the rest of the day os fairly shaded. I have read peppers like sun, am hoping they are ok right there for now. Sorry to hear about the demise of your sunflowers, the good news is once it warms up outside they will be easy to seed directly outdoors. Sunflowers like a lot of sun. I actually have to move my plantings around the house throughout the day. They begin their day in one room (great morning light) and then enjoy the later afternoon sun in another room – then it’s back to the morning room for the night…It’s a bit of a commitment, but worth it! Maybe try the sunflowers again and keep them in a more sunny spot – if you can find one? Same with peppers, I’m not a big pepper fan so I don’t grow them (though I do like red roasted peppers! ), but I do believe they too like hot sun…best of luck to you and hopefully you will have an abundant and healthy crop! Will definately retry the sunflowers! I dont know why I didnt think of that, I guess since its almost May I assumed it would be too late 🙂 i will try to directly sow them in their outdoor pots, the coldest it gets here at night is 50 . The only problem is it rains DAILY here. Am thinking of making mini umbrellas/covers for the pots while they grow , I fear with all the rain the seeds would just wash away! All the best this geowing season, cant wait to see updates on your gardening endeavors!